I don’t really care how often you read or hear that “a million ain’t what it used to be”. 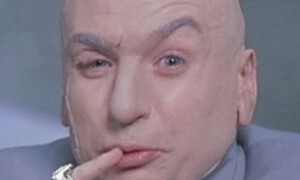 While true, one million dollars is still a huge chunk of change. …And we’re working our way towards that amount. Slowly. Month by month and year by year. Why? That’s what we figure we need to semi-retire. Although Tax Free Savings Accounts (TFSAs) have been around for less than 10 years, they are a great wealth building tool if used properly. Think about it: tax free money. Do you really want your money just kept in cash savings? I suggest you make your money work for you. I won’t go into the details, you can read up on the TFSA here. This account can be much more than a savings account. Example: a 30-year-old working professional who starts investing their $5,500 (this year’s annual contribution limit) and continues maxing out their account contributions for the next 40 years could retire with a $1-million in the TFSA alone! We work hard to maximize contributions to our TFSAs every year. We’ll continue to do so. If we keep doing this we’re optimistic our TFSAs will be worth over $100,000 each within the next 5 years. Registered Retirement Savings Plans (RRSPs) have been around for decades. The RRSP offers tax-deferred growth as long as you keep the account open and stay invested. There are more details about the RRSP to take advantage of here. Example: taking our 30-year-old young professional again, he/she who starts saving $3,000 per year and contributes this amount every year to their RRSP without fail will likely find more than $250,000 inside their account at age 60. We pay ourselves every month and contribute to our RRSPs, where we can, like clockwork. If we keep after it, and let time in the market be our friend, it’s possible our RRSPs could be worth over $500,000 at the time of retirement. Did you know you can earn about $50,000 per year in dividend income in Ontario, inside a non-registered account, and pay pretty much zero taxes on that income (if you have no other income to report)? For those that like math, check out this site for proof. This is thanks to the Canadian dividend tax credit, which you can read about here. If you’ve been following my blog for any length of time you’ll know I’m a fan of Canadian companies that pay dividends. Dividends provide us with passive income, to cover future expenses. They could cover some current expenses today if we really wanted them to. However, we reinvest those dividends paid as much as possible. Read on about dividend reinvestment plans (DRIPs) here. After both TFSAs are maxed out every year, and after we strive to max out our RRSPs, other money is invested if possible. We’re optimistic our non-registered assets will also grow in the coming years – so along with registered accounts – non-registered assets could put us close to our lofty $1 million portfolio goal. I believe investing is largely a get wealthy eventually strategy. For us it is done through focusing on our TFSAs first, making regular contributions to our RRSPs second, and then investing where we can after that. Across all accounts we buy and hold investments, we reinvest dividends, and we stay the course. We believe with this slow and steady process will get us to our lofty $1 million portfolio goal. This blog is meant to keep you posted on that – so stay tuned. What’s your take on this lofty $1 million portfolio goal? Out of reach? Is there luck involved? Drop me a comment and start the dialogue. Thanks for reading. Do you still want to be a millionaire? 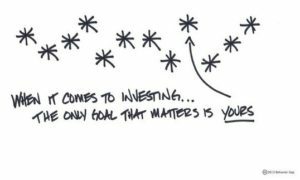 33 Responses to "Our lofty goal to build a $1 million portfolio"
I frequently find myself in agreement with your investing philosophy, and this post is no different. 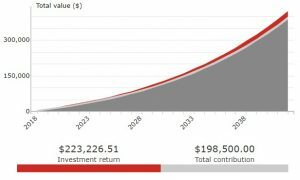 I too have a goal of $1M at retirement, with a dividend stream of between $35,000 and $40,000. With five or six years to go, I am on pace, but the markets could yet deal me any ugly hand. That said, while dividend growth investing will not capture the high fliers, it also does not typically involve the train wrecks that growth stories can be when they go bad. I am not so naïve as to think I am immune from losses, but the overall stability of dividend growth companies, combined with ever increasing payouts, can be a nice buffer in bear markets. Good luck on your goal! Thanks for the support. Given dividends are just part of total return, although an important one, this is also why we index invest in our RRSPs. I’m also not naive to think the value of the portfolio won’t go down, potentially a great deal, in a bad market – so the key will be to stay invested and remember this post when things get rocky. Good luck on your goal as well. That’s a great goal. I am aiming for that goal too. If you can get a 4% return on your portfolio of 1 million dollars then you could live off that very comfortably. That’s the plan! Have the portfolio spin off income from the capital invested and not touch it for a few years in semi-retirement. Carmen: Just call your broker and tell them you wish to DRIP your stocks and they’ll do it automatically (at least to purchase a full share). Like cannew mentioned, what I did Carmen is simply call my discount brokerage, most of them (not all) are the same – and ask a licensed representative that you want to “DRIP” (i.e., reinvest dividends) across your entire account. OR, you can be selective in only DRIPping some stocks – just tell them which ones. Nothing else you need to do. They take care of the rest. Just be mindful that you need to keep track of your cost base (i.e., what the cost of your stocks are) in a non-reg. account. You can see some pros and cons to DRIPping here. If you have a specific question, happy to answer and I can turn it into a blogpost. Carmen I have holdings in 2 different places. At Scotia iTrade, you can just select online which stocks you want to Drip. They also keep track of your adjusted cost base for you. With TD Direct investing, you have to phone them, so I haven’t done any drips in that account. I hate phoning and wish they had good secure email service as iTrade does. I much prefer iTrade, but their trade fees are high until you have enough money with them. So, my kids had to go with TD. Thanks for adding Barbara. Good feature at iTrade – this is what I implied that not all brokerages are the same – some have better DIY features than others. 1. Yes. Even though retired I’m planning to keep building ours from registered withdrawals. 2. Yes. Especially if your working income is expected to be significantly more than retirement income, plus benefiting from income splitting, like I experienced. 3. Yes. My Province is no where near as generous overall but still nicely tax advantaged for dividend income. Mark, you’re 100%+ on track to your goal which I believe you’ll well exceed. I can guarantee it can be done even with the ups and downs, as I followed a very similar plan! Ha, thanks RBull. We’re doing what we can and having fun getting there. There is joy to be found in the destination. Mark: Just keep doing what you do, growing your income as you projected, and your portfolio will grow with it. Yes, you’ll get to the $1Mil and it will continue to grow even faster than before should you continue to reinvest the ddividends or some of them. Thanks Cannew. I appreciate the support from someone like you who has realized FI. I have full confidence that dividend growth will help me to my goal. A $1 million portfolio can safely generate $30,000 in annual dividend income. It is nice to see that it would be tax-free in Canada. This amount would be tax free in the US also, assuming no other sources of income are present. I agree that tax-deferral could be a powerful force in your wealth accumulation. One million is a lot of money. I know that something like 3% – 4% of US households are millionaires. So I would assume it is similar in Canada. I think a $1 M portfolio will very safely return $30k per forever. Of course, we will spend our capital, so that should mean about $40k per year for life, but it will be nice to have options…I hope….someday…. A portfolio of magnitudes smaller can generate the same level of income. A 20 year-old could invest $50,000 into 3% dividend stocks, hold and DRIP for 35 years, and retire comfortably at 55. With an annual div growth of 6%, that initial $50,000 portfolio will pay out $30,000+/yr. No further saving or capital outlay required. Do you need $1,000,000 to retire? No. You need $50,000. 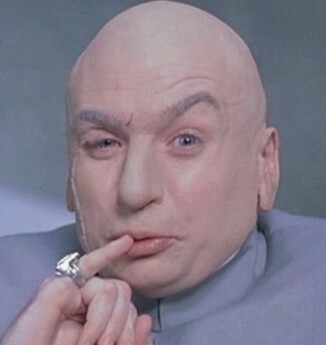 The only reason you need $1 million is because you screwed up. Millionaire population in Canada is much less, ~1% or less (estimated to max out at ~2% at the height of Boomer retirement). I can only assume the hefty difference is due to things such as culture, taxation, and scale of economy (as well as an overwhelming dose of ‘right place at the right time’ luck). My son invested about $100,000 at age 25. He is a saver, but also bought himself a brand new car from his employment earnings. He is now 27 and is looking at rebalancing and moving some into his TFSA, he didn’t do it last year, so has $11,000 to move. He did a suggested mixed portfolio of ETFs, but tells me that most of it hasn’t increased in value, just the US segment. I think he should move out of XIC and into XEI. He is a student again now, and I am hoping that he can keep this money for his retirement and fund his other life purchases out of current and future income. PS He was home for Christmas with his girlfriend and I noticed that he spends a lot more money now! Expensive wine and things that he never would have bought before. Its good to enjoy some things. I like XEI – it holds many blue-chip stocks that I own directly – and you get all 75 or so for a small MER. Pretty good deal and you can DRIP this ETF nicely. Great point about compounding SST. I certainly won’t have to invest $1 M to get to $1 M – not even 1/3 of that. We have quite a bit more than the obligatory million but the income from those investments covered our living costs quite easily. We spent about six weeks in the US last year and also needed to make several trips to the UK so we are hardly skimping on what we do. Ottawa is expensive. If we leave here Richard, and we might someday, we could make our cost of living much lower. To be spending six weeks and more, travelling during the year, especially to the pricey UK – it sounds like you’ve done very well! Are you concerned at all about current market valuations? The US market and to a lesser extent the Canadian market are both overvalued compared to historical norms, and it has driven down dividend yields especially in the US. I’d like to see a bit of a market correction to boost yields a bit, personally. A lot of people would freak out but it would be good for dividend growth investors. Sure, maybe, I dunno, but I have no idea when the markets will climb higher or lower or stay flat for months or years on end. Yes, a correction would be great but I continue to invest regardless. Let’s say, for the sake of argument, that you were not as proactive as you should have been but you did buy a house in Toronto which is almost paid off and almost worth $1M. How do you parley that equity into investments without selling? So if I understand your question Wendi – I own a nearly paid off home in Toronto worth $1 M and I want to get equity out of that house without selling it? Well, if you had a HELOC (home equity line of credit) you could consider borrowing equity from your house, and then using that money for investment purposes. That’s an option without selling – but that has pros and cons: you could own more investments; you own more debt/you’re paying more interest costs; but interest paid to buy assets in a non-registered account is tax deductible. Meaning, if you use borrowed money to buy investments, the interest may be deductible. As long as your investments generate income such as dividends or interest, or if you have a reasonable expectation that they will generate income, you can deduct the interest on your loan from your total income. Capital gains are not income for the purposes of this deduction. If you borrow to invest only in shares that don’t pay dividends and rely on capital gains to make money, the interest is not deductible. FWIW, I wouldn’t do that myself but some might. Interesting! I rent out my basement so the expense from my mortgage interest has been used to lower the tax from the rental income. Now that the mortgage is almost done I wonder if the interest from an investment loan could be leveraged against the income from the rental too. You need to be careful with leveraged investing, for a) risk and b) what can be considered a tax deduction in the eyes of CRA. I can’t offer specific advice on this Wendi for many reasons but when it comes to leverage – you need to fully understand what you’re doing. The very good news sounds like – your mortgage is almost done. A great accomplishment. Mark: I just updated my sisters investments and then started thinking about your post. She’s invested in 11 DG stocks with only one drag, POT (fortunately only $6k). The rest are on our list and she is getting 4.8% on her invested dollars which is about half of your goal and receiving $26k per year. I’m sure your current yield on invested dollars is probably at least 4.8% or higher, which means you’ll reach the $30k with much less invested than the $1Mil. Nicely done cannew. I don’t think we’ll need to save $1 M to have a $1 M portfolio either….not even half that! I haven’t calculated my yield on cost but I know my current yield is around 4% so if/when we get to $1 M it should churn out $40k (or more) for as long as we live. I was drawn to the title of your post (new reader) on your goal to get to a million. 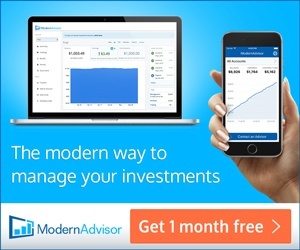 I too am very annoyed, in hindsight, that I have been letting a mutual funds salesperson (aka financial advisor) determine the direction of my account. Don’t get me started on the MERs…. I began DIY investing around May 17, recognizing that things are very expensive now, so I am trying to proceed with caution. However… I have taken some plunges into both growth & dividend stocks. We have maximized our TFSA and RSP room (incl US div stocks). I am wondering about buying US stocks in our non-registered account. Are you for/against this? Welcome to the site and thanks for reading. I was annoyed/kicking myself for many years but I’ve since seen the light regarding money management fees. 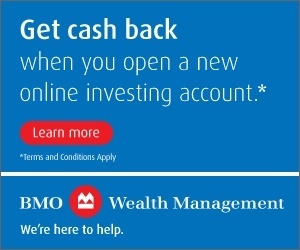 Congrats on maxing out both TFSAs and RRSPs. (We pretty much have my wife’s RRSP to max out yet). Not advice, just some tax considerations to be mindful of if going that route. I love the TFSA. We have a (somewhat lofty) goal of having $1M in our TFSAs by age 55. It would require a decent growth rate for the next two decades, but it’s possible. For new grads however, who’ve had contribution room accumulating since the age of 18, the TFSA could easily make up their entire retirement in the future. HUGGGEEE fan of the TFSA. I hope to have $11k to invest for both of us in a few months. If I was a new grad, try and max out the TFSA every year for 40 years – you’re good, you will retire a millionaire.